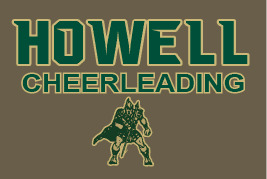 HOWELL CHEER apparel and accessories are now available to order online! ORDER DEADLINE IS FRIDAY, DECEMBER 28th. No orders will be taken after the August 28th order deadline. You may CUSTOMIZE any of the shirts with CHEERLEADER name at an additional charge. To customize, make selection on the page of the item you are ordering.